Newest method for determining a protein's shape based on XFEL technology significantly broadens number and type of proteins that researchers can study. 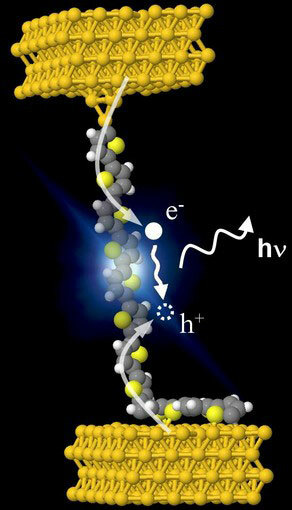 The ultimate challenge in the race to miniaturize light emitting diodes (LED) has now been met: researchers have developed the first ever single-molecule LED. The device is formed from a single polythiophene wire placed between the tip of a scanning tunneling microscope and a gold surface. It emits light only when the current passes in a certain direction. 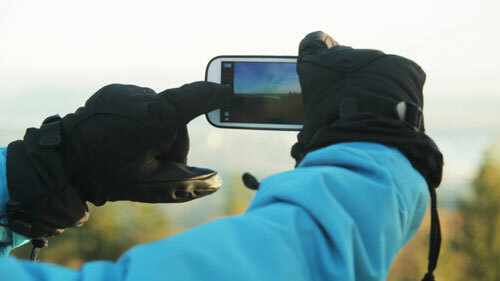 A nanoparticle solution that can transform your ordinary gloves into touchscreen ones. Researchers have taken a leap forward towards a deeper understanding of an undesired effect in thin film solar cells based on amorphous silicon - one that has puzzled the scientific community for the last 40 years. The researchers were able to demonstrate that tiny voids within the silicon network are partly responsible for reducing solar cell efficiency by some 10 to 15 percent as soon as you start using them. McDermott Will and Emery offer their Special Report '2013 Nanotechnology Patent Literature Review: Graphitic Carbon-Based Nanotechnology and Energy Applications Are on the Rise' as a continuing study of trends observed in our 2013 and 2012 reports, and also present a renewed focus on trends in the energy sector. Chemists have developed a one-pot synthesis process to encapsulate nanoparticles. This type of particle could improve the antimicrobial coating of implants. 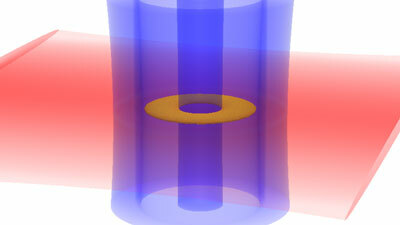 Using a superfluid atomtronic circuit, physicists have demonstrated a tool that is critical to electronics: hysteresis. This is the first time that hysteresis has been observed in an ultracold atomic gas. 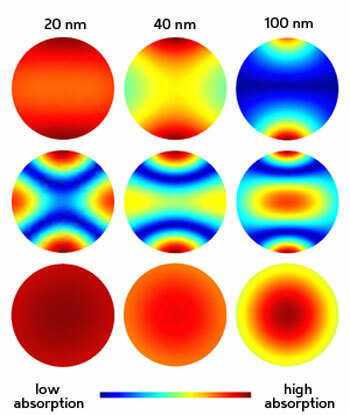 New research at the University of Arkansas reveals a novel magnetoelectric effect that makes it possible to control magnetism with an electric field. 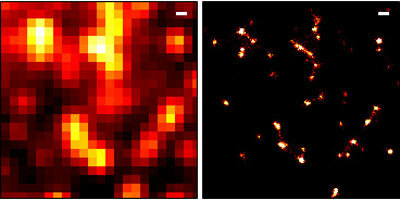 Joint research on super-resolution microscopy from the National Physical Laboratory (NPL) and the University of Cambridge has been selected as a highlight of 2013 by the Journal of Optics, making it freely available to view online. The Spanish foundation BBVA honors Haider, together with Prof. Harald Rose, senior professor at Ulm University, and Prof. Knut Urban, Forschungszentrum Jülich, for the development of a new generation of so-called aberration-corrected electron microscopes that reach resolutions in the atomic range. According to Fourier's law, heat spreads evenly throughout a system. For two- and one-dimensional objects such as films or the finest of wires, however, other rules seem to apply. Scientists have now pinned these down. Adding carbon gives iron-platinum nanocrystals the ideal optical properties for heat-assisted magnetic recording. 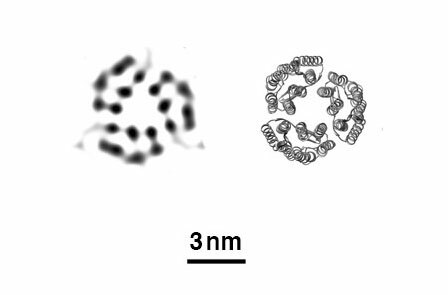 Nanoparticles with a core-shell structure can minimize the overheating of cells during bioimaging experiments. 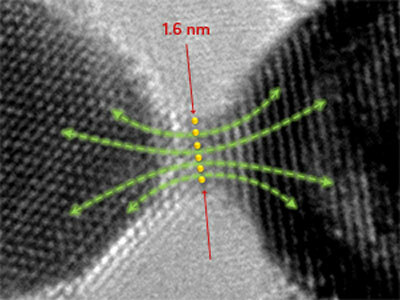 Simulating the magnetic properties of nanostructures could help to design electronic memories with increased storage capacity.